We've spent plenty of time on Inhabitots discussing how to have a greener holiday season (and spend less green in the process), and we firmly believe that keeping an eco-conscious perspective on this festive time of the year doesn't make us akin to Scrooge. The holidays are a time for family, friends, and giving, so why not combine all of these and help out the less fortunate at the same time? With this in mind, we've compiled our Gifts That Give Back Holiday Guide. Each of these suggestions benefits a variety of causes or follows the popular one-for-one model. We spent hours pouring over individual sites as well as marketplaces such as the new one over at perennial Tots favorite TOMS and Shop with Meaning, and we encourage you to do the same. Gift giving (and receiving) never felt so good! A quick look at Inhabitots will show you just how many green toy companies there are out there, and we are proud to support brands that provide our kids with entertainment and manage to keep their ethics about them! One online shop we’ve featured on multiple occasions is Smiling Tree Toys. This year they’ve added even more ornaments to their collection of toys, and they still make a donation to Peace Corps Youth Development programs with every purchase. Early exposure to books is a huge part of bringing the joy of reading to our little ones, and Out of Print definitely takes this one step further with cute tees featuring childhood favorites such as Charlotte’s Web and The Runaway Bunny. This cool company donates a book for every purchase through the Books for Africa program. They’ve also got tees for moms and dads too! Bringing the buy one, give one set to the smallest tots is Baby Teresa, which makes organic cotton rompers, blankets, hats, and bibs. The company has partnered with donation sites around the world, and provides a romper or formula to babies in need. Soccer is an internationally beloved sport, and the One World Futbol Project is determined to keep spreading the soccer love with their “nearly indestructible” ball and a buy one, give one promise. For every ball purchased, another is given to a community in need through organizations working with refugees, inner city youth, or disaster areas. A great gift that will get kids active and playing around the globe and in your own backyard! The International Rescue Committee makes the perfect gift options for hard-to-buy-for teens as well as younger kids. 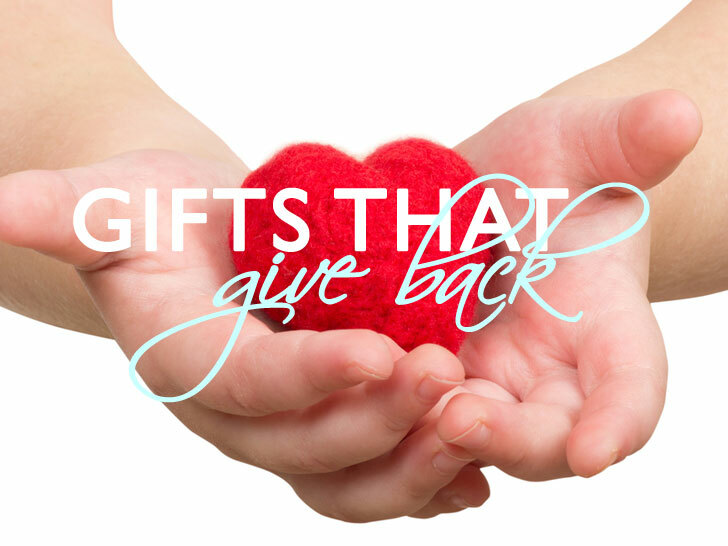 From baby goats for a family in Somalia to funds for a year of school for a girl, these gifts truly help kids realize how fortunate most of us are and how we can easily help others. Aside from parents, teachers and childcare caregivers are often the most important people in our kids’ lives. They definitely deserve some holiday love for their tireless efforts during the day. A gift card or donation to Donors Choose lets your child’s teacher help another teacher out. Projects range from raising funds for instruments to basic classroom supplies and are all over the country, so you can find a school near you to help out or one with an interesting project. 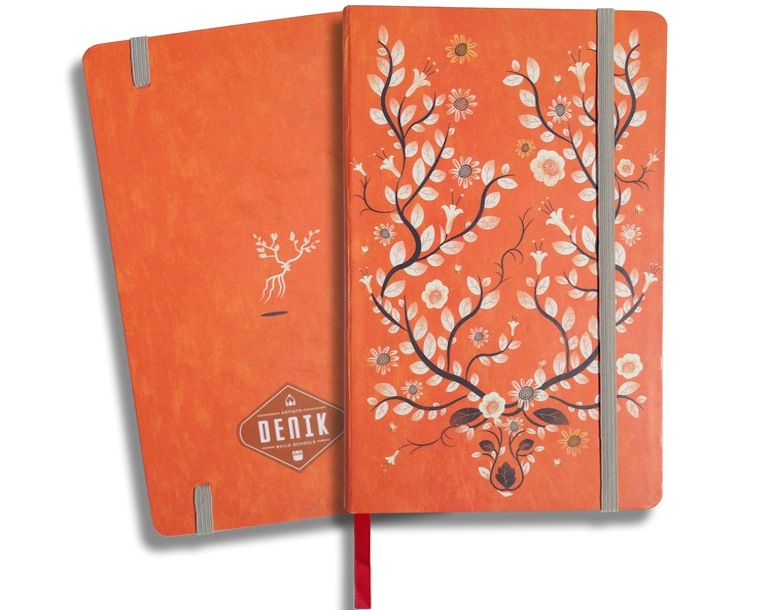 Another practical present: a notebook or journal from Denik. The soft journals are filled with 75% recycled paper and come with a variety of cover designs. $1.00 from every book sold goes towards building schools and another 5% goes to the artist who designed the notebook — so stock up! Pamper your favorite educator or childcare worker with ONEHOPE Coffee, which offers a subscription program with proceeds benefitting the KIVA Foundation, which provides microloans to low-income individuals trying to fight their way out of poverty through creating or partaking in small businesses. There’s also the ONEHOPE Wine collection, with 50% of proceeds going causes ranging from providing funds for pet adoptions, supporting veterans, and providing behavioral therapy for children with autism. We had to keep you in mind too-even adults get to make wish lists! Vegetarian and vegan cookbooks are fun presents because they encourage families to adopt healthier lifestyles — for the planet and for themselves. The French Market Cookbook, a new veggie cookbook from new mom Clothilde Dusoulier adds some French flair to veggie dishes (many of which are gluten-free and dairy-free). Lauren Bush’s FEED Projects proudly provide meals to a variety of people in Africa and throughout the United States through the sale of her clothing, bags, even stockings and greeting cards. Her new jewelry collaboration makes your typical arm candy that much sweeter knowing that you are helping to put food in other people’s bellies. Don’t leave your pets out of the good-for-all gift giving. Baxter and Birdie uses upcycled fabric scraps or overstocked fabrics and turns them into collars and leashes. 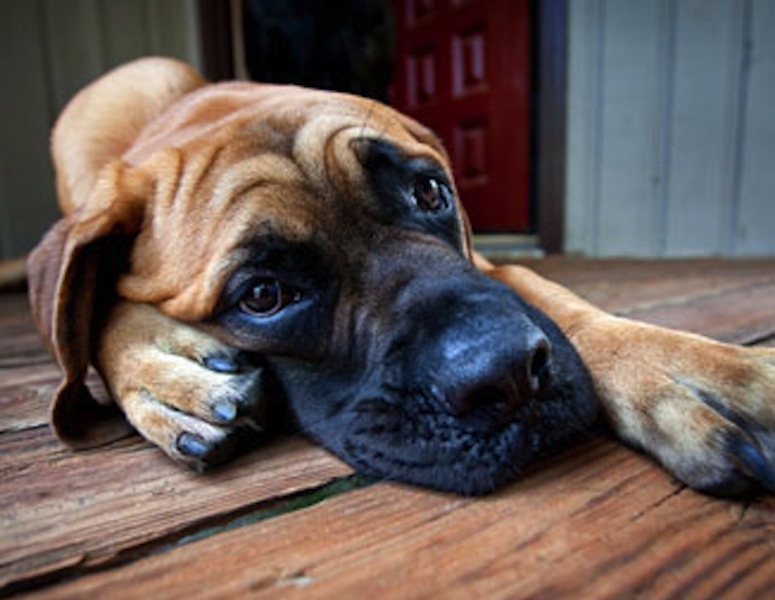 As a bonus, they donate a collar or leash to an animal shelter for every one purchased. The Good Karma Rope toy from Jax and Bones has green giving written all over it: the toy is made from chemical-free, naturally dyed cotton thread, and a portion of proceeds benefits The Rescue Train, a non-profit that provides animal rescue work and education. P.L.A.Y.’s Warm Bellies Initiative provides chill pads to animal shelters for every pet bed purchased. Although they would be perfect treats for tucking inside, these products aren’t only for stocking stuffers or Chanukkah pockets; they’re also great for the helpful people in our lives who are often under-appreciated. We may not spend a lot of time with our neighborhood postal worker or local bank teller, but these are the people who help you go about your family’s business! We’re always looking for healthy, tasty energizing snacks and these two companies fit the bill and each provides a meal to a hungry child with every purchase. Two Degrees food bars are vegan and gluten-free and come in flavors such as cherry almond and chocolate banana! Kutoa Health Bars include comforting flavors like PB & J as well as kid’s squares in options such as Strawberry Shortcake. Purchasing these vegan and gluten-free bars will provide a nutritional meal to a child in need. The S.P.I.R.A.L. Foundation has tons of little gifts, such as recycled plastic bowls and coasters and bags made from discarded plastic and paper. The proceeds from these purchases go to Nepal and Vietnam where they are used to promote causes such as literacy and vocational training. A quick look at Inhabitots will show you just how many green toy companies there are out there, and we are proud to support brands that provide our kids with entertainment and manage to keep their ethics about them! One online shop we've featured on multiple occasions is Smiling Tree Toys. This year they've added even more ornaments to their collection of toys, and they still make a donation to Peace Corps Youth Development programs with every purchase. Early exposure to books is a huge part of bringing the joy of reading to our little ones, and Out of Print definitely takes this one step further with cute tees featuring childhood favorites such as Charlotte's Web and The Runaway Bunny. This cool company donates a book for every purchase through the Books for Africa program. They've also got tees for moms and dads too! Bringing the buy one, give one set to the smallest tots is Baby Teresa, which makes organic cotton rompers, blankets, hats, and bibs. 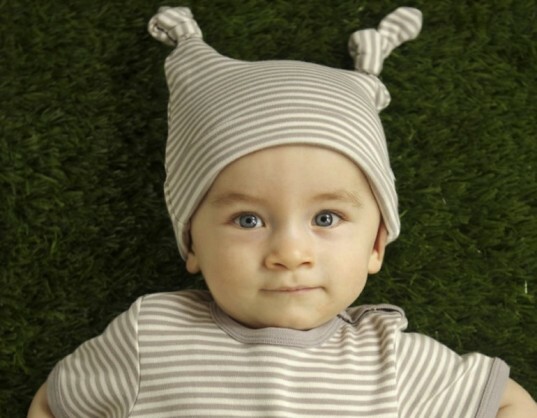 The company has partnered with donation sites around the world, and provides a romper or formula to babies in need. Soccer is an internationally beloved sport, and the One World Futbol Project is determined to keep spreading the soccer love with their "nearly indestructible" ball and a buy one, give one promise. For every ball purchased, another is given to a community in need through organizations working with refugees, inner city youth, or disaster areas. A great gift that will get kids active and playing around the globe and in your own backyard! Another practical present: a notebook or journal from Denik. The soft journals are filled with 75% recycled paper and come with a variety of cover designs. $1.00 from every book sold goes towards building schools and another 5% goes to the artist who designed the notebook -- so stock up! Pamper your favorite educator or childcare worker with ONEHOPE Coffee, which offers a subscription program with proceeds benefitting the KIVA Foundation, which provides microloans to low-income individuals trying to fight their way out of poverty through creating or partaking in small businesses. There's also the ONEHOPE Wine collection, with 50% of proceeds going causes ranging from providing funds for pet adoptions, supporting veterans, and providing behavioral therapy for children with autism. We had to keep you in mind too-even adults get to make wish lists! Vegetarian and vegan cookbooks are fun presents because they encourage families to adopt healthier lifestyles -- for the planet and for themselves. The French Market Cookbook, a new veggie cookbook from new mom Clothilde Dusoulier adds some French flair to veggie dishes (many of which are gluten-free and dairy-free). Lauren Bush’s FEED Projects proudly provide meals to a variety of people in Africa and throughout the United States through the sale of her clothing, bags, even stockings and greeting cards. 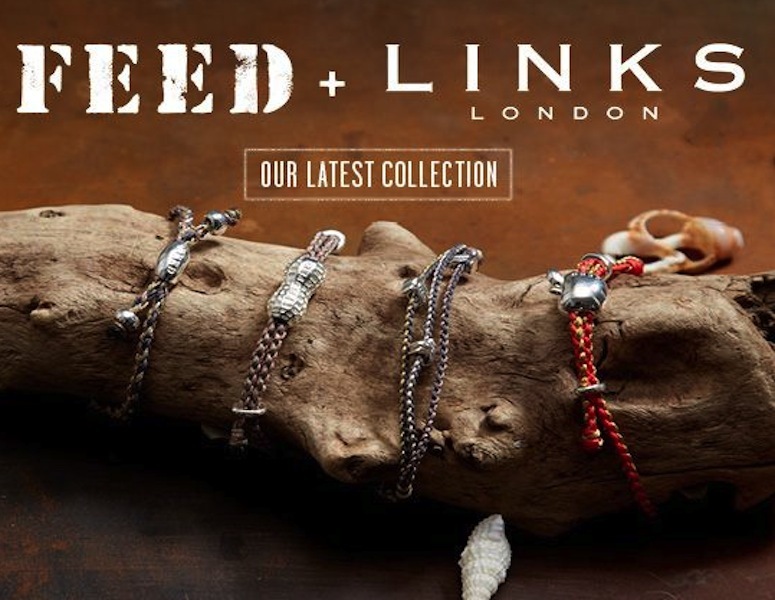 Her new jewelry collaboration makes your typical arm candy that much sweeter knowing that you are helping to put food in other people's bellies. Don't leave your pets out of the good-for-all gift giving. Baxter and Birdie uses upcycled fabric scraps or overstocked fabrics and turns them into collars and leashes. As a bonus, they donate a collar or leash to an animal shelter for every one purchased. The Good Karma Rope toy from Jax and Bones has green giving written all over it: the toy is made from chemical-free, naturally dyed cotton thread, and a portion of proceeds benefits The Rescue Train, a non-profit that provides animal rescue work and education. P.L.A.Y. 's Warm Bellies Initiative provides chill pads to animal shelters for every pet bed purchased. Although they would be perfect treats for tucking inside, these products aren't only for stocking stuffers or Chanukkah pockets; they're also great for the helpful people in our lives who are often under-appreciated. We may not spend a lot of time with our neighborhood postal worker or local bank teller, but these are the people who help you go about your family's business! We're always looking for healthy, tasty energizing snacks and these two companies fit the bill and each provides a meal to a hungry child with every purchase. Two Degrees food bars are vegan and gluten-free and come in flavors such as cherry almond and chocolate banana! 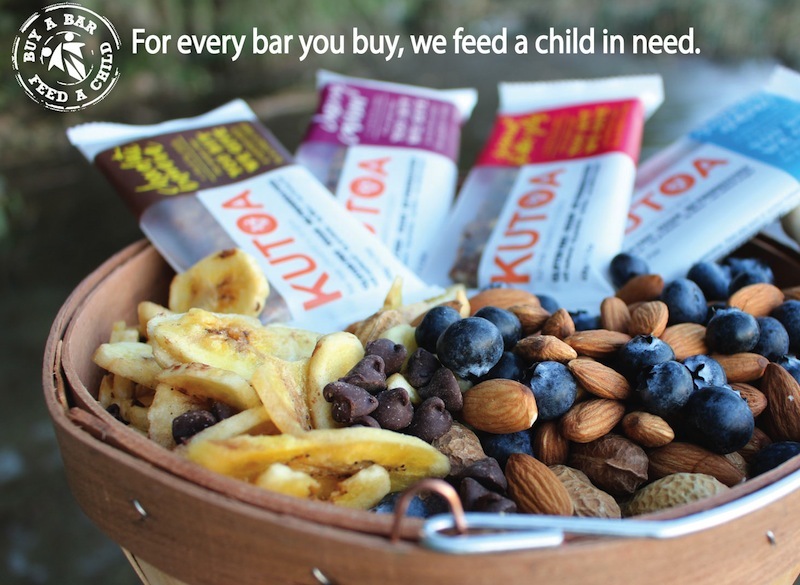 Kutoa Health Bars include comforting flavors like PB & J as well as kid's squares in options such as Strawberry Shortcake. Purchasing these vegan and gluten-free bars will provide a nutritional meal to a child in need.